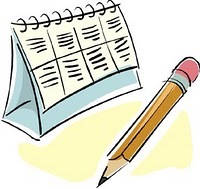 It's time again to mark your calendars and Make Your Reservations for December! As always, there are a lot of good books coming out! Here are some of the books we're looking forward to next month. Are any of these upcoming books on your list? If so, which ones? Like everything daredevil Gabriel Sharpe does, pursuing Virginia Waverly is a high-stakes game. Ever since her brother Roger died racing Lord Gabriel, Virginia has yearned to take her revenge on the reckless lord by beating him at his own sport. But when she challenges Lord Sharpe to a race, the hellion who has always embraced his dark reputation as the “Angel of Death” counters with a marriage proposal! Gabe knows Virginia's family is in dire financial straits—why shouldn’t she marry him and solve both their problems? She claims to be appalled by his proposal, but her response to his kisses says otherwise. So when the two of them begin to unravel the truth behind Roger’s death, Gabe takes the greatest gamble of all, offering the cunning and courageous beauty something more precious than any inheritance: true love. Scandalized to discover that the masked man with whom she'd shared a dance — and a forbidden embrace — is in fact the ton's most celebrated rake, Regina Hackett vows to keep her distance. Yet when her dear friend vanishes, it is to Puck that Regina must turn. And as they embark on a dangerous journey through London's darkest alleys, Regina will discover that beneath Puck's roguish facade lies a man who will stop at nothing to protect her — or to convince her to take a chance on an unrepentant sinner. Suddenly Chloe can't take a misstep without the sheriff hot on her heels. His rugged swagger and his enigmatic smile are enough to make a girl beg to be handcuffed. For the first time, instead of avoiding the law, Chloe dreams of surrender. Can this rebel find a way to keep the peace with the straitlaced sheriff? Or will Chloe's colorful past keep her from a love that lasts...and the safe haven she truly wants in a town called Lucky Harbor? Lady Christina Fairhaven is devoted to her adoptive family—and most protective of her wayward brother. So when battle-scarred and world-weary Captain Gavin Briggs arrives at her cottage bearing shocking news—that she is the granddaughter of an aged, bad-tempered duke—Christina is stunned...temporarily. But with a fortune at stake, the road to London is paved with peril. Treachery awaits them...not to mention attraction, temptation, and a most unanticipated passion. I can't wait for the release of "Head Over Heels." I loved the first two books in the series and can't wait to see Sawyer and Chloe get together. Kasey Michaels'- A Midsummer Night's Sin is on my list. I loved the first book in this series. To Wed a Wild Lord for me, I have been reading Sabrina Jeffries for years. I'm interested in what Katie can do when she gets her hands on a Greek!! Love her Scotsmen! Love everything by Jill. Sabrina and Kasey are also autobuys for me. I'm not familiar with Jennifer's books yet! Again so many books and too little time and money! I will tell my children to give me book store gift cards for Christmas! Me, too, Jane! I love Jill's books and have been looking forward to Sawyer and Chloe's story since I could "feel" the tension between them in Simply Irresistible! Beebs, that cover is absolutely GORGEOUS! Janga, I am really looking forward to Jo's to "experience" her contemporary voice. I just love her stuff! all is a new author for me except sabrina jeffries but i think i would like to read kasey's book. thanks for the recomendation, i want to book a new book within few days but still confuse what book or author i should try and buy. I can't wait to read Head Over Heels by Jill Shalvis. I've never read a book by Jo Goodman, but that will change! A Place Called Home sounds really good! Great list, I can't wait to read these! I have always loved Jo's books. 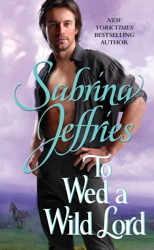 I am looking forward to Sabrina Jeffries To Wed A Wild Lord and Jill Shalvis Head Over Heels. Eli, doesn't Kasey's book sound good?! What is your favorite genre to read? Historical, contemporary, paranormal...? I'll begin with TO WED A WILD LORD & then work my way through. Kasey Michaels- A Midsummer Night's Sin sounds brilliant!! I'm really looking forward to reading Jo Goodman's, A Place Called Home. This sounds like it would be such a beautiful and heartwarming novel. I'm crazy about Historical Romance so, "To Wed A Wild Lord", "Brazen" and "A Midsummer Night's Sin" are all on my wish list. Thank you for keeping us all upto date on all the new releases. These all sound delicious! I'm going to start with Sabrina Jeffries' newest Sharpe series book. I have already read the first ones and can't wait to start this one. There is also another series out right now about the four Sullivan brothers who must redeem a fallen woman and marry her in order to inherit their rogue uncle's fortune. I have read the first two books (from our library) in the series but now I can't remember the author. Does this sound familiar to anyone? Help! A nice line-up. All the historicals are definitely on my list. Jo Goodman's A PLAVE CALLED HOME and Jill Shalvis' HEAD OVER HEELS both sound good. 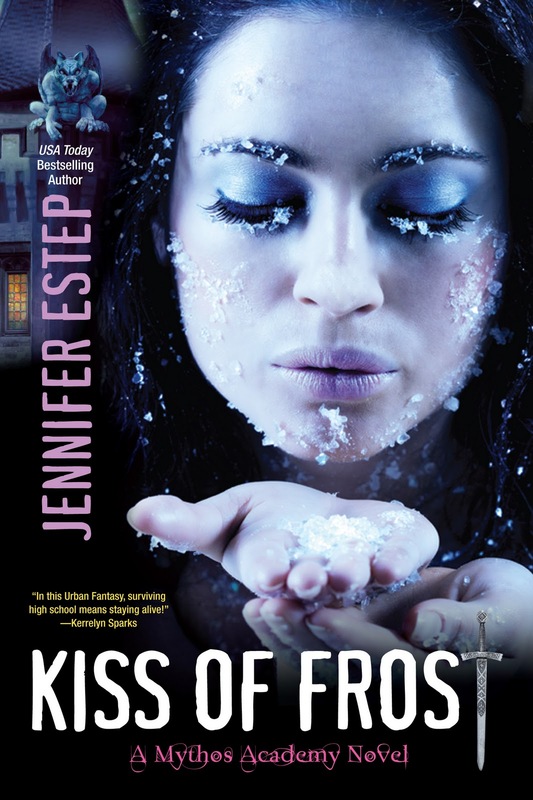 I think KISS OF FROST is part of a YA series. It sounds interesting. Good lineup for next month.